This post has 828 views. It’s been about two months since my last outs and abouts post… and I started the previous one of these with the same phrase haha. Over the last two months, I tried some fun water activities, and even traveled outside of NC for a bit. Keep reading for photos and highlights. 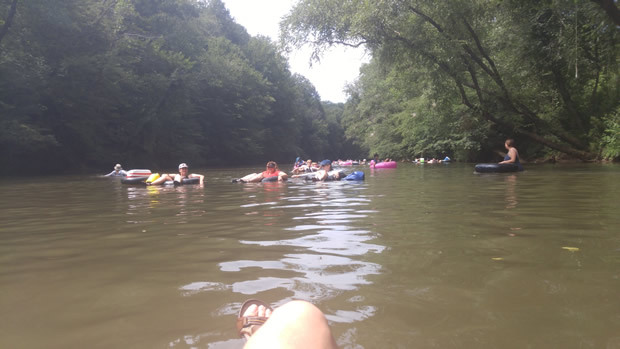 River tubing, the quintessential summer experience during hot weather. It has been a very hot and humid summer in North Carolina, and as such I was more attracted to water activities. I tried four different activities over the last two months: tubing, stand up paddleboarding, kayaking, and sailing. Tubing is the easiest of the bunch, since all I needed to do was sit on a tube and float down the lazy river. I went with a big group, and it was a fun experience. The only thing that could have been better was if there was slightly more water on the river, as there were a few sections where we had to get up and walk because it was too shallow. Also if I should ever go tubing again, I should rent one of those deluxe tubes, since the cheap tubes they had were too small. This was taken before I fell into the water. Next activity was stand up paddleboarding, which takes considerable more skill. 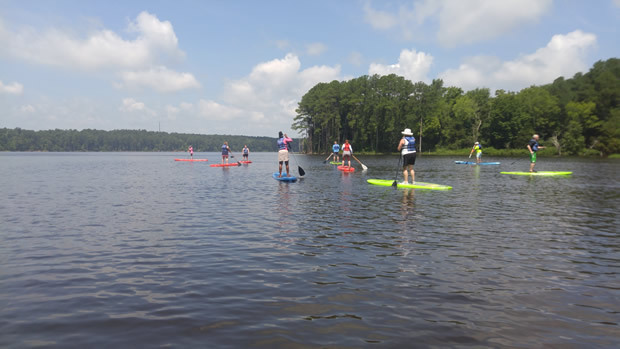 I never tried it before, so I took a group lesson on a lake. I am not afraid to admit that I was the first one to lose my balance and fall into the water, but also found out that getting back up is not that hard. Besides, it was so hot out that falling into the water was the desirable thing to do. At the end of the day, I think I learned enough to paddleboard on calm waters. I’ll still fall from time to time as keeping balance takes some effort, but I know I can get back up fairly easily. Navigating around some water grass while kayaking down the river. I also went kayaking down a river. 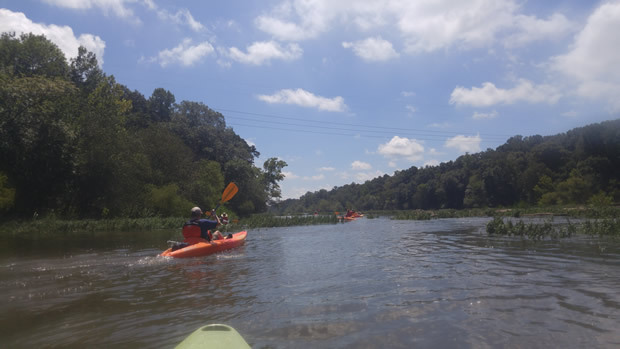 This was not my first time kayaking, and not also not the first time I kayaked down a river, but it was the first time I kayaked 10 miles and first time encountering some class 2+ rapids. The rapids were really fun; enough to add some excitement, but not powerful enough to make the trip too risky. I did get flipped out of my kayak once, but I just got back into my kayak and continued on. Due to the distance, it was a pretty good workout, and I got pretty sore and not to mention a dark tan after the outing due to the blazing sun. The final water activity was sailing. I took a lesson on a small lake to learn how to sail one of those small Sunfish sailboats. This was the most challenging activity out of the bunch. There is the rigging of the boat which I still don’t remember, but actually sailing is not easy either. Since the sailboat depends on the wind to move, you have to read the wind and operate the sail in the right way. Doing it wrong means you either go nowhere or capsize. All of the students including me capsized a few times, and it is not very easy to flip the boat back over once it has capsized. I’ll still need a lot more practice before I can feel comfortable enough sailing on my own. In case you are wondering why I don’t have any pictures for the sailing lesson, it’s because I dropped my phone into the lake during the lesson. I had my phone in a waterproof bag and had the bag’s lanyard around my neck, but the lanyard snapped when I tried to get back onto the boat after I capsized. I know approximately where my phone is and the lake is small and shallow, but the water is so murky that I just couldn’t find it anymore . Next time I get a waterproof phone bag, I am going to get one that floats and one that has a better lanyard. One of my out-of-state trips was to New York, and this was to both the Big Apple and Upstate. I spent 4 years in the Capital Region doing grad school, and I still have a number of friends and family both in NYC and Upstate which I haven’t seen in a while. Taking a stroll in Central Park to get a little peace and quiet in the big city. 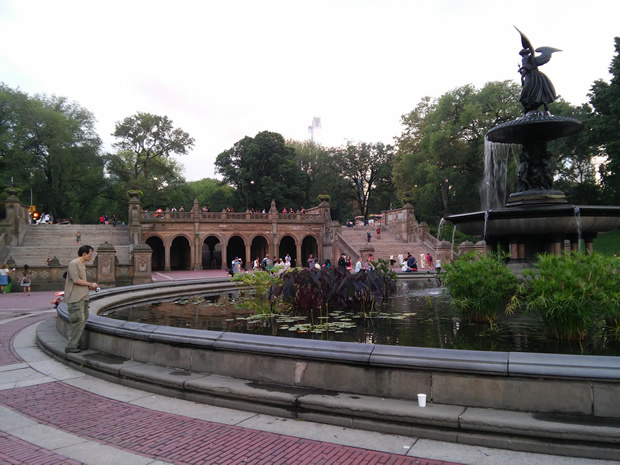 The elegant Bethesda Terrace and Fountain within Central Park. I have been to the NYC a few times, but it’s such a big city that there is still a lot more places to see. On this particular trip, the first thing I did was to go take a stroll in Central Park. I didn’t have the chance to do that on my previous trips to NYC, so this was at the top of the list. Central Park is actually very nice and kept-up quite well considering how grimy some parts of NYC can be. Having a big patch of greenery in the middle of Manhattan is quite refreshing. 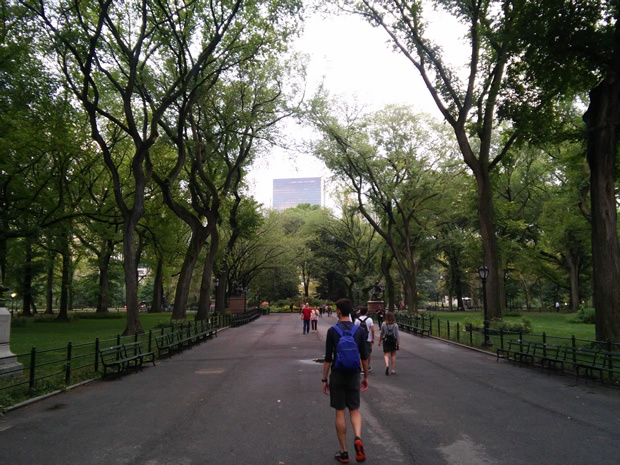 The relative quietness and serenity in the park is quite the contrast to all the hustle and bustle around it, and it’s a big enough park for people to get a workout. One World Trade Center, standing tall. 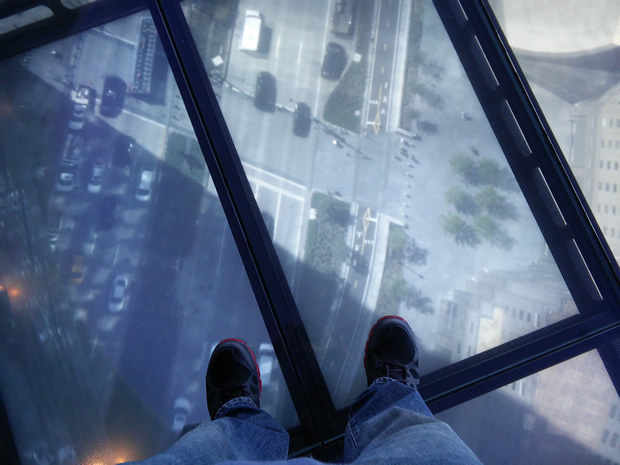 At first glance this looks like a glass floor to the streets below, but it underneath the floor is actually a video screen. I also went to the 9/11 Memorial and the observatory on top of the the One World Trade Center. Both were under construction during my last few trips to the big city, but they are now complete and open to the public. 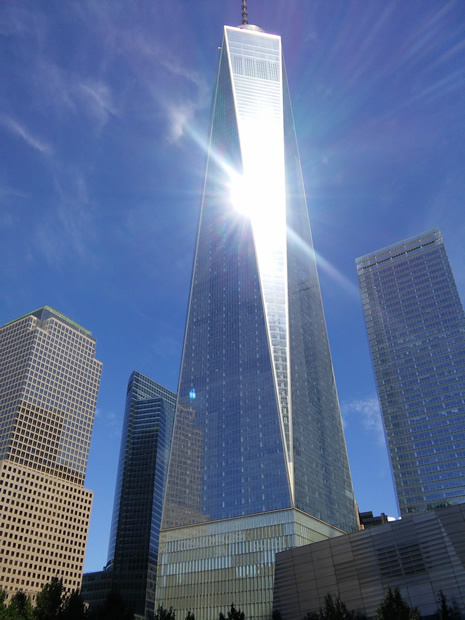 Located on Floors 100-102 of the One World Trade Center, the One World Observatory offers an unobstructed 360 degree view of NYC and surrounding areas, which is a given since the building is the tallest skyscraper on the continent. The views from up there were pretty incredible, and we could see miles upon miles from the city. 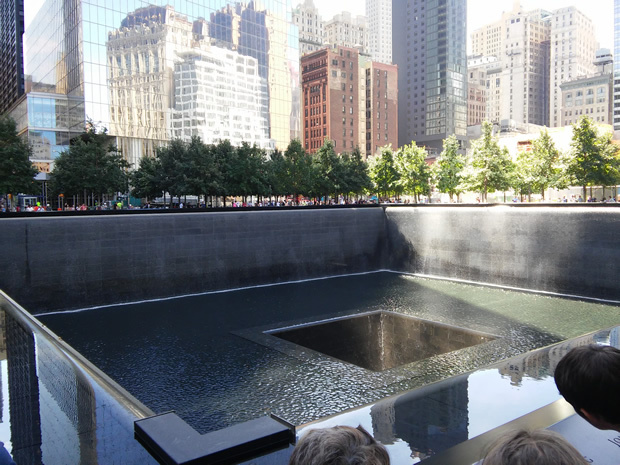 The North Pool of the 9/11 Memorial. After the visit to the observatory, I walked around the 9/11 Memorial pools which marked the locations of the Twin Towers. It’s a place to pay respect to the thousands who lost their lives to the terrorist attacks, and also a place to reflect on how the world has changed since the attacks. Leaving Manhattan to go to Governors Island. 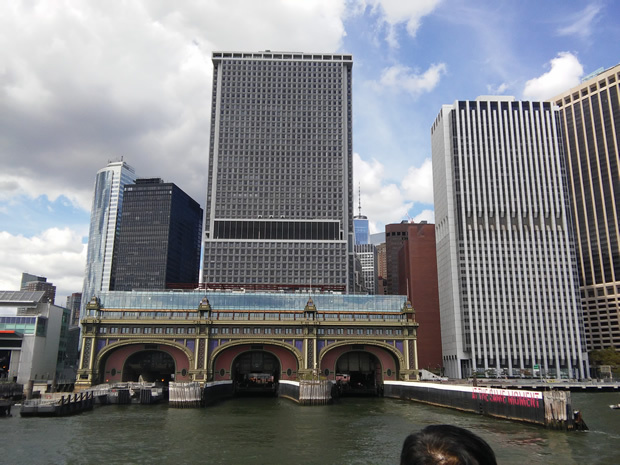 I then proceeded to walk to the through the financial district to the southern tip of Manhattan Island, where I boarded the $2 ferry to Governors Island. Governors Island is a National Monument, and on the island lies fortification that were built to protect New York from coastal attacks. The coastal fortifications are no longer useful these days, but the island is a nice place to visit. I spent a few hours there, visiting both Fort Jay and Castle Williams, and took in the views of Lower Manhattan, New Jersey, the Statue of Liberty and other surrounding areas. To be honest, I haven’t heard of Governors Island before this trip, but I am glad I found out about this place. That is about all for my time in Manhattan. I then spent some time back up in the Albany area, visiting friends and family. I didn’t have a chance to go visit my alma mater, but I did get some hiking in at Lake George. We hiked the Buck Mountain Trail which wasn’t very long, but pretty steep in places. The view up top was of course excellent, and Lake George is as pretty as I remembered it to be. Enjoying a view of Lake George and the Adirondacks (click to enlarge). I wish I had more time to spend in Upstate to catch up with friends and family, but alas I had to return to work. It was a good trip though, and I’m sure I will be back up there.